For more information on "In the mixx: Dj's doing work" contact Mehka at [email protected] follow us at @mehkavelli and @invisiblemanmda Read more! 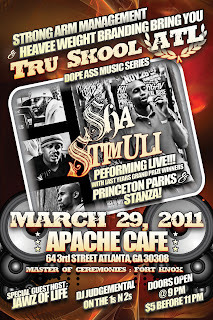 Tonight at Apache Sha Stimuli performs for the "True Skool ATL music series doors open at 11 fee is 5.00. Read more! Did you ever wonder how a person could be so calm then all of a sudden they spazz out on you? Have you ever wondered why that was? Well according to Natural News there are at least 10 violence-inducing prescription drugs on the market that can cause you to act out of character check out the list below. 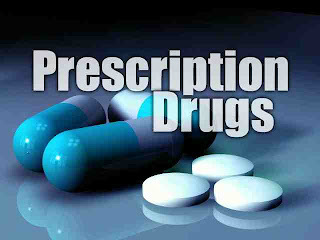 Concerns about the extreme negative side effects of many popular antidepressant and antipsychotic drugs have been on the rise, as these drugs not only cause severe health problems to users, but also pose a significant threat to society. 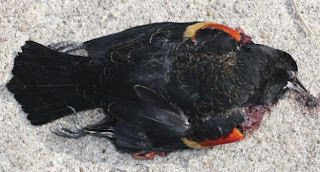 The ISMP report indicates that, according to the U.S. Food and Drug Administration's (FDA) Adverse Event Reporting System, many popular drugs are linked even to homicides. 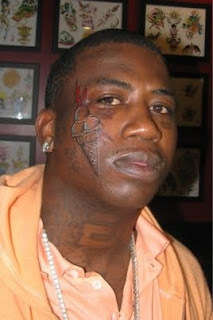 Gucci Mane got some new tatoos but check it what is up with the Ice Cream Cone on the left side of his face? Is he doing this to get attention? Read more below. 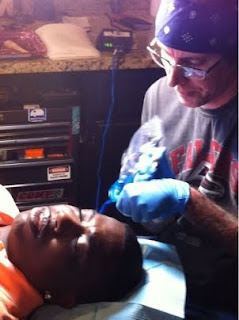 UPDATE: According to Gucci’s spokesperson Kali Bowyer, the image is “a reminder to fans of how he chooses to live his life. Cool as ice. 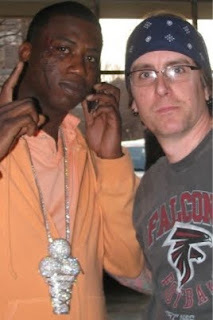 As in ‘I’m so icy, I’ll make ya say Brr.’” Bowyer tells Rolling Stone that the ice cream cone design was also used for a medallion that Gucci has worn for years and can be seen in most of the photos making the rounds on the internet today. 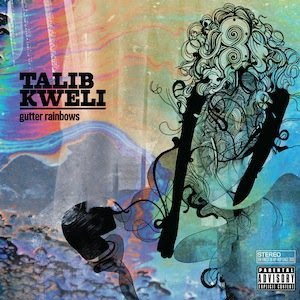 New music from Talib Kweli's 'Gutter Rainbows' album out January 25th on Javotti Media/3D. "I'm On One" is produced by KHRYSIS! Pre-Order 'Gutter Rainbows' at iTunes:. 'Gutter Rainbows' is digital-only in North America; all formats in the rest of the world. Fans in North America can also find the CD in their local, independent, 'Mom & Pop' record stores. Listen and download the audio below.